Virtually no information about this training board that was provided, prior to the Hektor PT602 with a Open University course called 'Microprocessors and Product Development - a course for managers'. 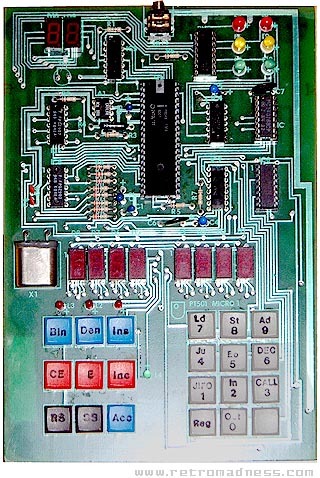 The choice of the microprocessor is a bit surprising as the 8049 was more a microcontroller than a true microprocessor. Later, the 8049 will be commonly found inside dot-matrix and PC keyboards. Thanks to Chris Millard for the picture. see more Open University, UK PT501 Ebay auctions !